This website is all about my 1973 Volkswagen 1303 S (in US: Super) beetle.I like doing modifications to it. My goal is not to make it the fastest beetle in the world, but my aim is only to make it more driveable and low on maintenance. The modifications must make the car more fun to drive. Furthermore you can find some VW beetle related documents in the menu on the right, which you may find interesting. And there is something about my VW beetle history. 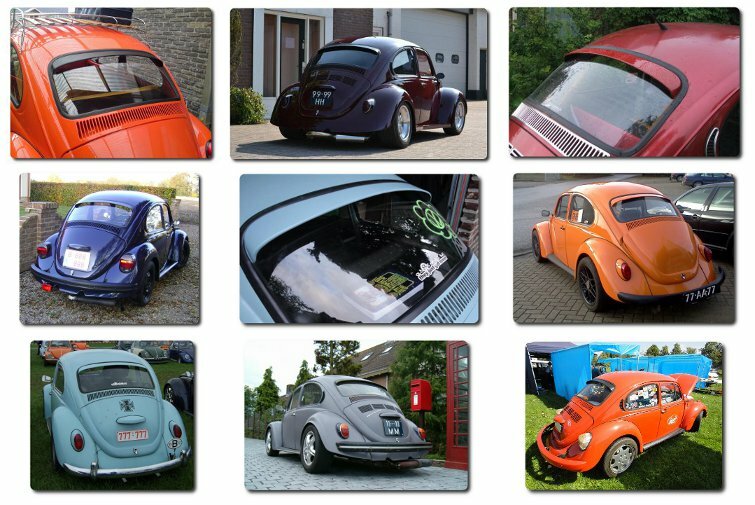 My beetle was also used in a dutch television program, Blik Op De Weg. See: Youtube link to episode . Hello – it really looks great, what you have build. Congratulations. I really like the sound, better then VW or Subaru. How are your experiences whith fuel consumtion? Could you get a green label for it? The fuel consumption is now around 1 liter per 13 kilometers, no matter how hard I drive it. Which is not bad, it’s better then the stock VW engine. We don’t have “green labels” in the Netherlands for oldtimers, so I don’t know. Hi, I’m interested in the roof spoiler and followed a link for shipping but I honestly couldn’t understand the shipping rates and would like to know how much much would be the total shipped to the US. I’m giving you my email. I’ve sent you an e-mail. 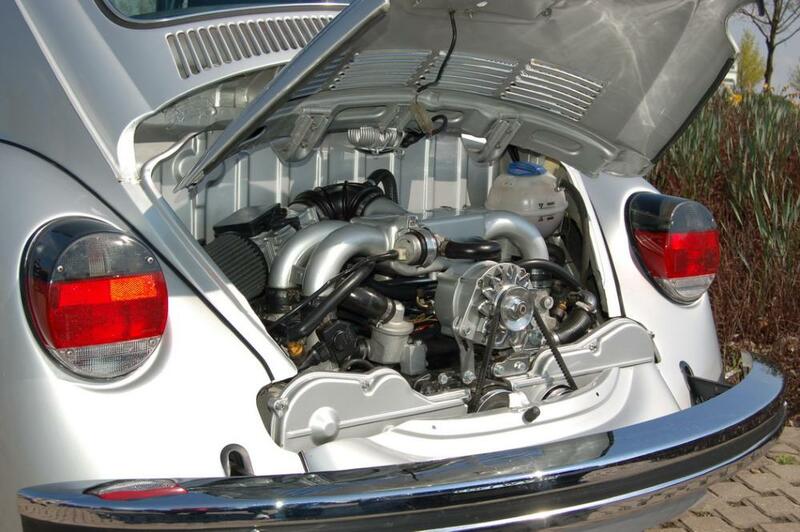 I have an Alfa 1.7 16v engine that I would like to install into my ’71 bug. I just wondered if you could help with what parts I would need for the conversion? I am based in the U.K. so I’m not sure what would need to be shipped in etc. Also, do you know if the rear valance will fit back on, or whether it needs relief cuts around the cam covers? Sorry, I can’t help you with the parts needed for the conversions. You will need to get in touch with DS tuning. The rear valance will not fit without cutting it around the cam covers. The 16V has higher distribution covers. Hoi, mooi project. Ik overweeg om in onze T2b bus een andere motor te plaatsen. Zit nu een 2.0L flat 4 in. Had niet eerder gelezen dat Alfa boxers eventueel ook passen. Ik begrijp veel, maar kan zelf weinig. Kan jijzelf tegen betaling of ken je iemand anders die hierbij helpen kan? Woon zelf omgeving Rotterdam. Maarrrr… op hun site zie je vooral T3 bussen, en die zijn al watergekoeld en hebben dus al een radiateur aan boord. Dit maakt de ombouw een stuk eenvoudiger. Bij jouw bus moet er een plekje voor de radiateur, koelwater buizen, verwarming etc. gevonden worden. Dit zal de kosten enorm omhoog gooien. Het aantal man-uren zal erg hoog zijn, en daardoor zal zo’n ombouw serieus geld (hele ruwe schatting: 5000 euro of meer) kosten. I lost my VIN Plate and I need a new one. do you know a company which produce VIN Plate and mey I get a contact? In which country are you? In some countries it might be illegal to use a replicated VIN plate. 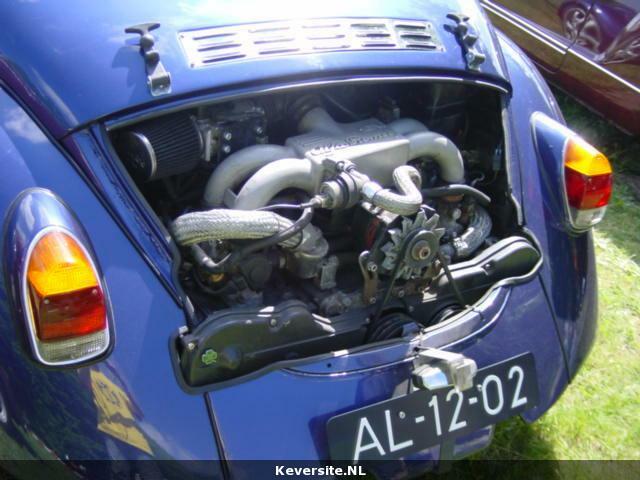 In the Netherlands, the VIN number in de floorpan is the one that identifies the beetle. I don’t know of a company that makes exact replicas of VIN plates, I had one made by a company that uses laser-engraving. It’s not embossed like the original plate, so one can clearly see it’s a replica. Quel tarif pour la paire de spoiler pour montant de pare brise et ainsi que le spoiler sur vitre arrière? I’ve send you an e-mail with details. Hi gerrelt really like your car mate. Thinking about doing my rear brake conversion the same as you and was wondering if there would be any reason the same could not be done to the fronts as my 72 has drums. Could you foresee any major problems as other that sizing it all up? Was going to look into using 914 rear discs on all four wheels??? I think it will be quite difficult to use the 914 discs on the front. And the benefits aren’t great either. Are the 914 discs bigger then the standard front disks? Either way, the offset will probably be different, which means you will have to create a bracket for the caliper. It wouldn’t be my choice, personally I would look into adapting 944 front brakes. Although….. those discs are for 5 wheel lugs, which means you have to change wheels too…hmmm..